Where is the transparency of government? How is it possible that a company producing protected designations of origin is not allowed to access the data on the functioning of the organs protecting the same name? It happens! Read and believe. The PDO logo and the warranty sticker with the serial number for traceability. All protected designation of origin products must submit to the checks (so many) stipulated by Community rules. In many cases, there are consortiums appointed to carry out the task of supervision of markets by the ministry (this has nothing to do with the controls on the production line). 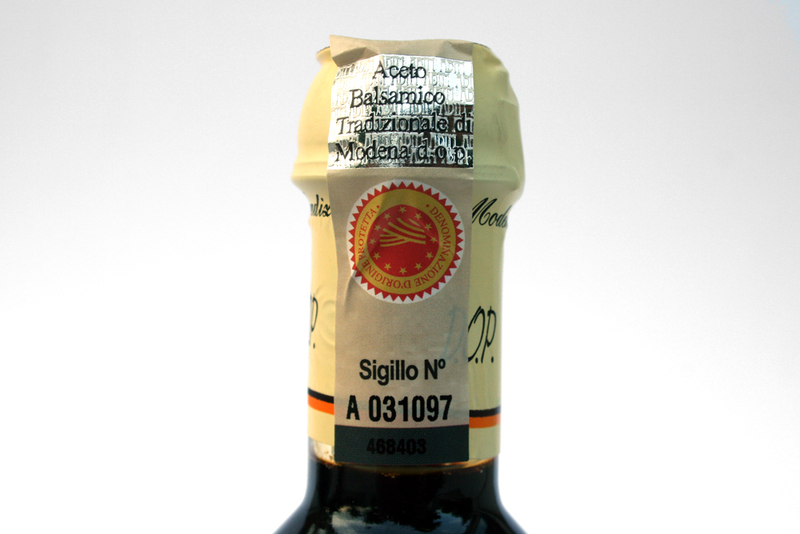 Regarding traditional Balsamic Vinegar of Modena (ABTM) the task was given to a consortium named “ Consortium for the protection of Traditional Balsamic Vinegar of Modena “, which in 2012 turned to all producers of ABTM , even to not associated companies, to ask for a contribution to the supervisory activities. As non – consortium members are not required to pay a consortium of protection to which they are not members the operating expenses, but just the ones related to the surveillance, after receiving the request for payment , we asked for an explanation. What response we have received? A non-response. As a matter of fact the consortium has not provided any explanation yet., Neither on its activities nor on theuse of funds. Moreover, we cannot know if this consortium has actually the share of representation necessary to achieve the task of supervision. Mystery. We asked the Ministry to disclose this mystery. The Ministry of Agriculture, called on to intervene, replied without giving us any information. We asked again : where is the transparency of public administration ?As we didn’t had any answer to our question, we rely on the network the correspondence among: claudio biancardi (abtm producer), the consortium for the protection of abtm and the department of agriculture while we are waiting for some answers you can follow us on twitter.